If you are looking for the highest standard of handmade luxury cakes in the Cotswolds, Gloucestershire and Worcestershire then you need look no further. With many years of experience I have regular customers. I produce a wide variety of cakes and luxury sugar craft ranging from luxury tiered wedding cakes to handmade luxury cakes for birthdays, anniversaries and much more beside. Please have a look through my website, and call me if you are looking for advice, inspiration or general information about a cake that you would like. The Bridal Room is a beautiful bridal boutique offering brides a wide range of bridal gowns and accessories to suit all budgets. We operate by appointment, as we close the boutique for each bride to be. Our gowns range from £1000 - £1995 with samples available from just £400. Be inspired by The Broadway Florist’s gorgeous collection detailing a selection of beautiful flowers for different occasions and seasons. Shelley Spencer, Creative Director has an enviable flair and exceptional talent that transforms flowers into coveted gifts, expressions of love and impressive displays. Delivering flowers throughout the Cotswolds, Gloucestershire, Oxfordshire, & Worcestershire. National and International deliveries are available. Weddings ~ It’s your big day ~Everything has to be perfect and you need flowers ~ Let Shelley help you design the picture perfect backdrop. Clay pigeon shooting at Mount Pleasant Farm is a great way to get a group of people aquainted with each other and have a friendly day out in the beautiful Cotswold countryside, whether you are celebrating a Hen, Stag or Birthday Party. 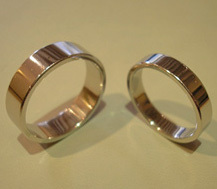 The complete bespoke jewellery design experience in the Cotswolds. 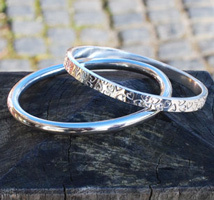 Jewellery designed and handmade in Broadway, Worcestershire in our workshop to suit all budgets - from wedding rings to large dramatic pieces. 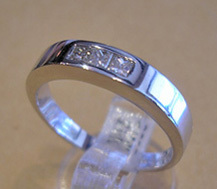 We also remodel and repair jewellery. 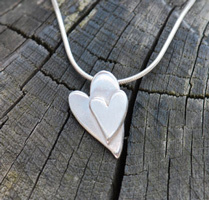 Silver jewellery designed and hand made in Worcestershire. A collection of flowers and hearts plus commissions. Lots of ideas for bridesmaid gifts and pieces to wear on your special day. If you would like to meet Lottie in Broadway to discuss a design idea please contact her as below. 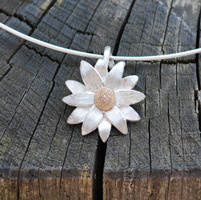 Lottie Jewellery is available to purchase at The Goldsmithy in Broadway as well as online. James Peacock LMPA is a qualified member of "The Master Photographers Association". This organisation only allows full time professionals, ensuring high standards from all of it’s members. As an added bonus why not take advantage of our free engagement portrait offer which is available with every Wedding booking. James Peacock Photography, 19 Bloxham Road, Broadway, WR12 7EU.